The online version of this article ( https://doi.org/10.1186/s13041-019-0453-4) contains supplementary material, which is available to authorized users. Patients suffering from chronic pain often have emotional comorbidities that affect mood, sleep, activity, and cognition. Accordingly, the prevalence of anxiety disorders among patients with chronic pain ranges from 20 to 40%, compared to 7–18% in the general population [1, 2]. Epidemiological studies have reported that the pervasiveness of pain in subjects with anxiety or depression, and that of anxiety or depression in subjects with pain, are higher than in the cohort with either condition alone [3, 4, 5]. Opioids are the most effective treatment for pain. However, the incidence of anxiety among opioid-treated chronic pain patients is 48.4% . Thus, an effective treatment of chronic pain requires a combination of analgesics as well as anxiolytics . 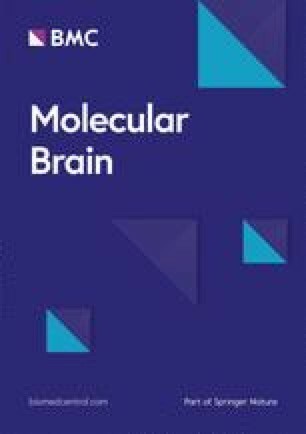 The amygdala, a critical region associated with emotion and motivation, consists of several anatomically and functionally distinct nuclei, including the lateral (LA) and basolateral (BLA) nuclei, as well as the central nucleus (CeA) . Among the subnuclei of the amygdala, the BLA bi-directionally communicates with brain regions that affect pain, cognition, motivation, and stress responses, including the anterior cingulate cortex (ACC), prefrontal cortex, hippocampus, and nucleus accumbens. Therefore, it plays a central role in emotional and motivational processing [16, 17, 18]. An imbalance between excitation and inhibition (E/I) in the BLA, such as hyperexcitability, induces anxiety [19, 20]. Inflammation is another factor that can affect the onset and development of anxiety in the amygdala [21, 22]. 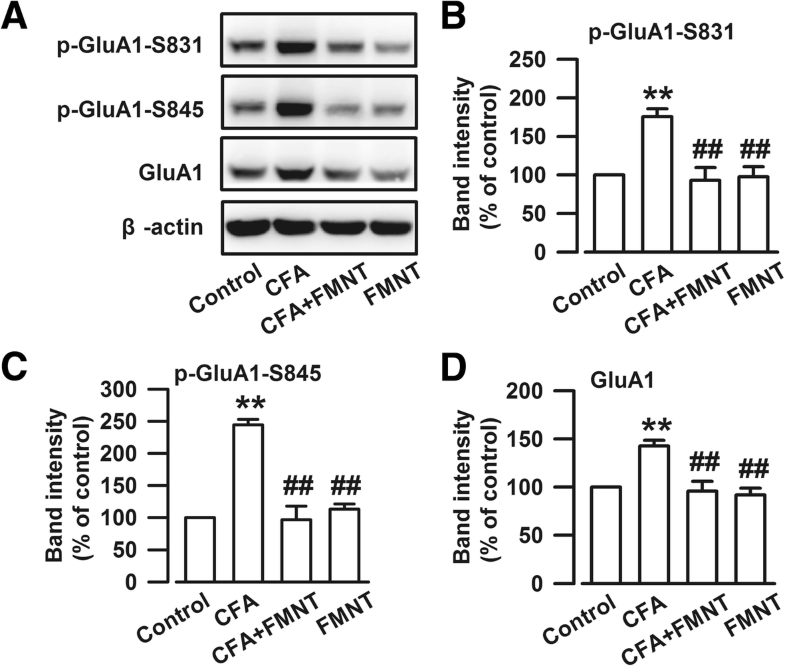 This study investigates the effects of FMNT on the treatment of chronic pain and anxiety. Open field (OF) and elevated plus maze (EPM) anxiety tests, as well as the Von Frey and hot plate pain tests were conducted on a model group of mice injected with complete Freund’s adjuvant (CFA) to simulate pain- and anxiety-like behaviors. The influence of FMNT in the BLA, and the underlying mechanisms, were closely examined. 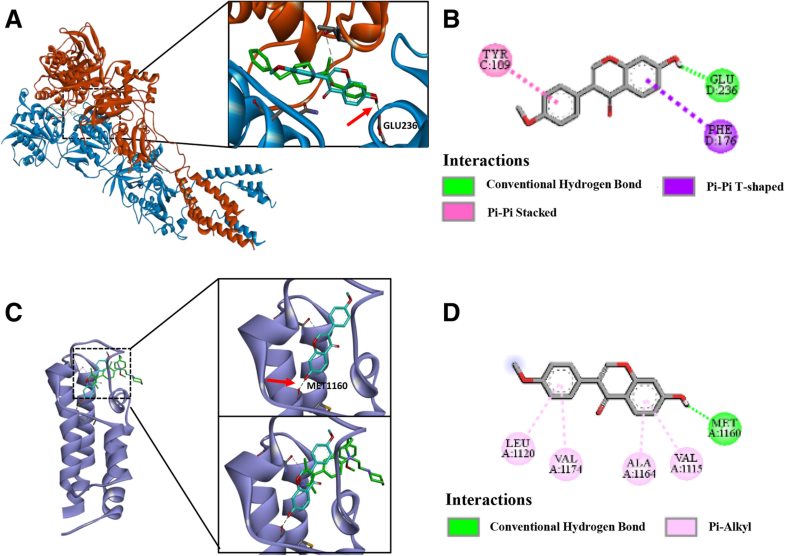 In silico docking analyses conducted using computer-assisted drug design showed that FMNT could bind to NMDA receptors (NMDAR) as well as CREB binding proteins (CBP). In this work, the binding potential of FMNT was explored only at the active site, since docking to this site makes it easy to speculate whether the compound is active or not. Interestingly, FMNT had better potential interactions with CBP than BDOIA383, a reported inhibitor of CBP . 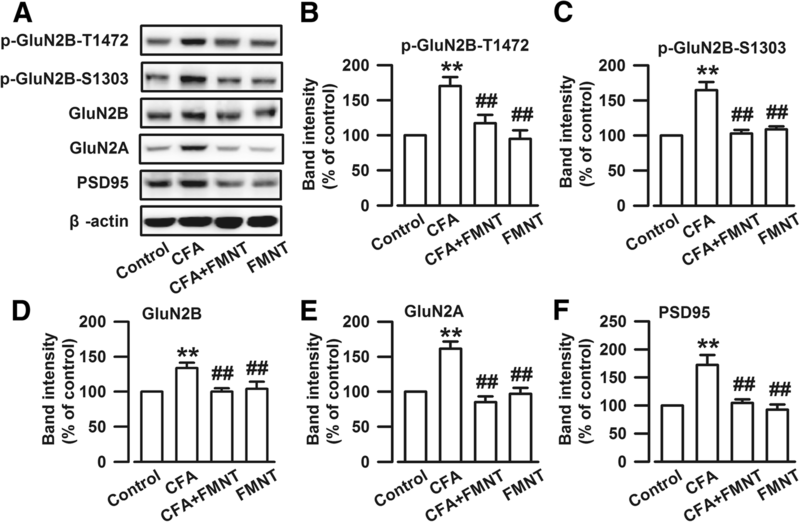 This suggests that FMNT may inhibit CREB-mediated gene transcription by binding to CBP. Studies have demonstrated that CREB-dependent transcription is essential for both long-lasting forms of synaptic plasticity and long-term memory [55, 56, 57]. CREB activation can also directly control neuronal excitability . However, we are unable to guarantee that FMNT does not have an interaction with other non-explored binding sites of these two proteins (NMDAR and CBP). The development of methods and programs, such as BINDSURF , METADOCK , LeadFinder [61, 62], BLIND DOCKING SERVER, Autodock Vina , and FlexScreen [64, 65], allows for more comprehensive and accurate docking analyses. In future research, we will use full blind docking methods to explore the real binding mode and possibility. Meanwhile, owing to multi-target effects of traditional Chinese medicine, other drug targets of FMNT cannot be ruled out. 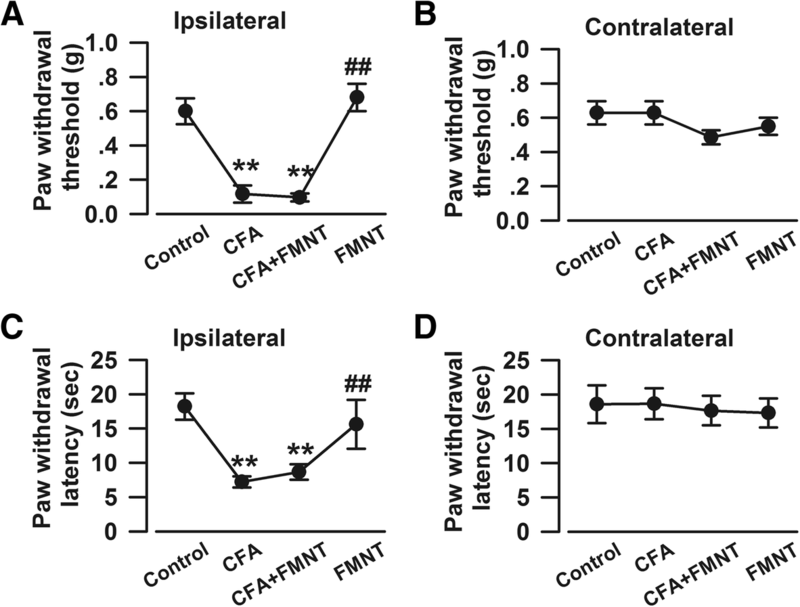 CFA-injected mice exhibited obvious pain- and anxiety-like behavior. However, this anxiety model is different from stress-induced, drug-induced, or social anxiety. 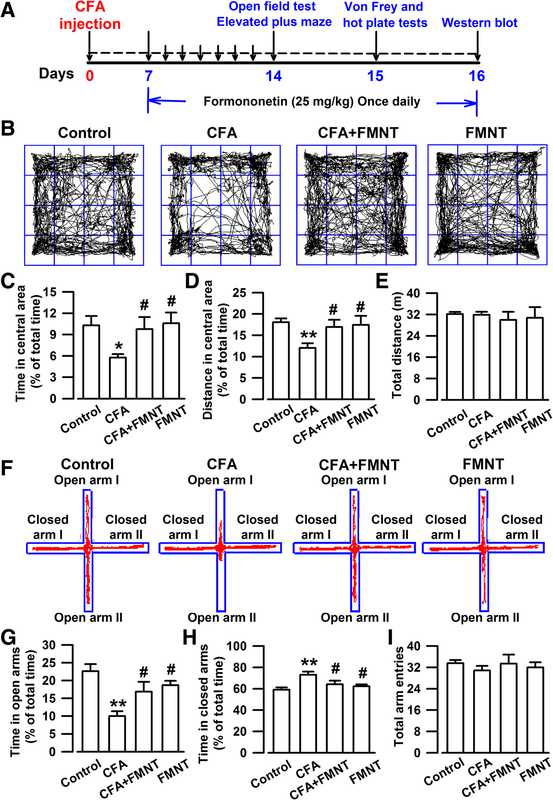 Therefore, although we were able to prove that FMNT has the potential to diminish pain-induced anxiety, its effect on the other models still needs to be assessed. 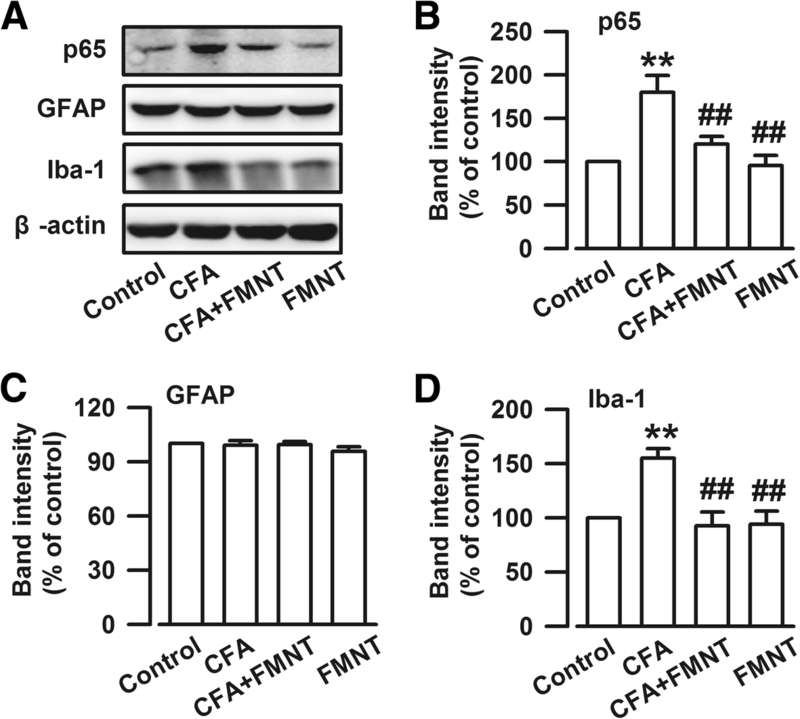 CFA-generated inflammatory pain may stimulate the activation of many brain regions, such as the BLA, ACC, hippocampus, and nucleus accumbens [67, 68, 69, 70]. So the effects of FMNT on other brain regions may also contribute to its anxiolytic effect. Furthermore, we cannot exclude other mechanisms and signaling pathways that may also be involved in the anxiolytic effect of FMNT.